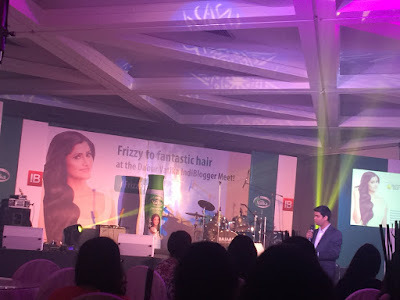 Its almost been a week since I attended the Dabur #FrizzFreeHair meet by Indiblogger but I am still savouring the memories of the rejuvenating experience I had …It’s raining events in Mumbai but little did I know there is another one coming my way so soon. 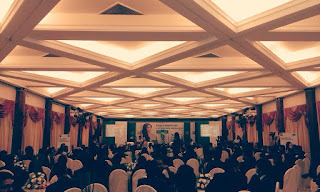 I hadn’t got over the one I attended few weeks back and here we go .. There was another one in my kitty pretty soon. This ones special to me for more than a reason … Firstly this was the first Indiblogger event that I attended and secondly it dealt with hair care and tips straight from Dabur hair experts to keep beautiful hair frizz free even after a long day spent outdoors either at work or otherwise. 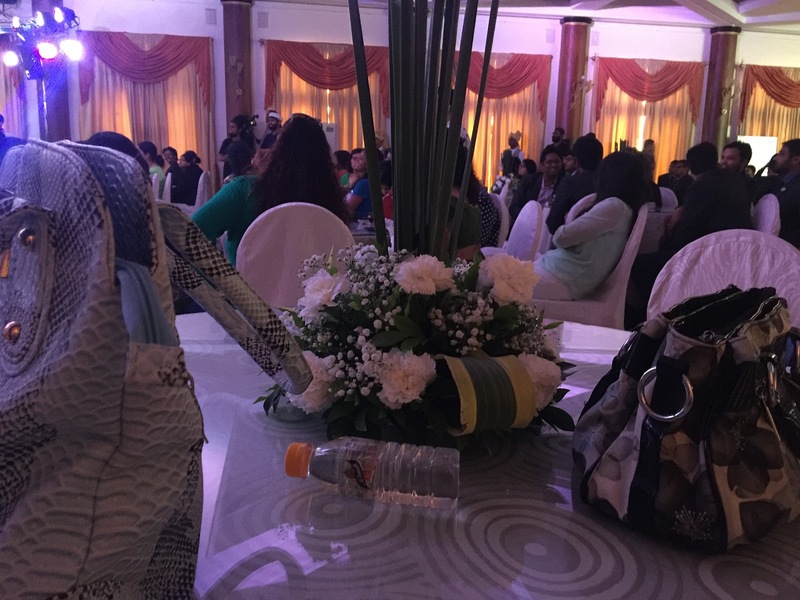 I eagerly waited for Saturday the 10th of Oct to arrive and when it did, couldn’t wait to get there at the venue to unlock the surprise and witness the happenings of the event. Though I stepped in a little late .. 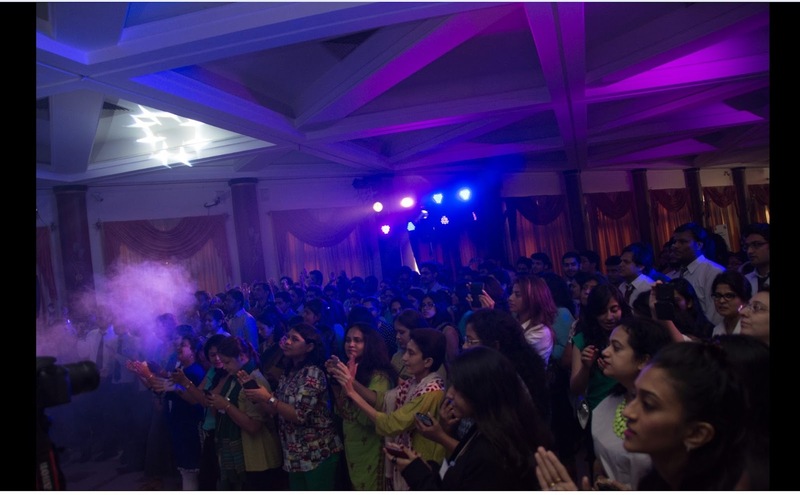 I was startled by the electrifying performance and the grooving music that was mind blowing.. without wasting any more time I rushed straight ahead to grab the seat right in front to enjoy it to the fullest. 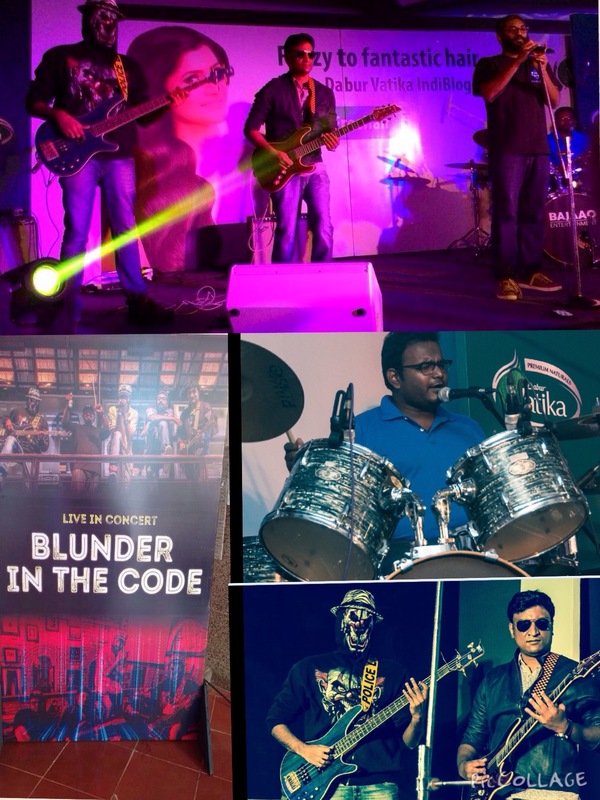 The IndiBand (Blunder in the code) rocked the stage with the cult classsic ‘Another Brick in the wall (Part 2). These are the moments I captured of a live band.. Check out the full house … I was lucky enough to manage the seat right there as i couldn’t resist the excitement any more. drooling over the music ..nothing less than a music concert. before us by the hair expert from Dabur who gave an insight on the products they have successfully launched in International market too.. 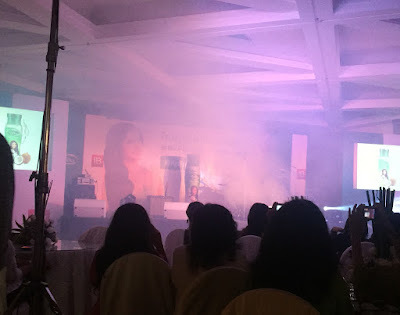 The product launch on stage was quite a view to see a huge size hair oil bottle appear dramatically amidst colourful lightning and smoke effect (Jasmine Fragrance).. 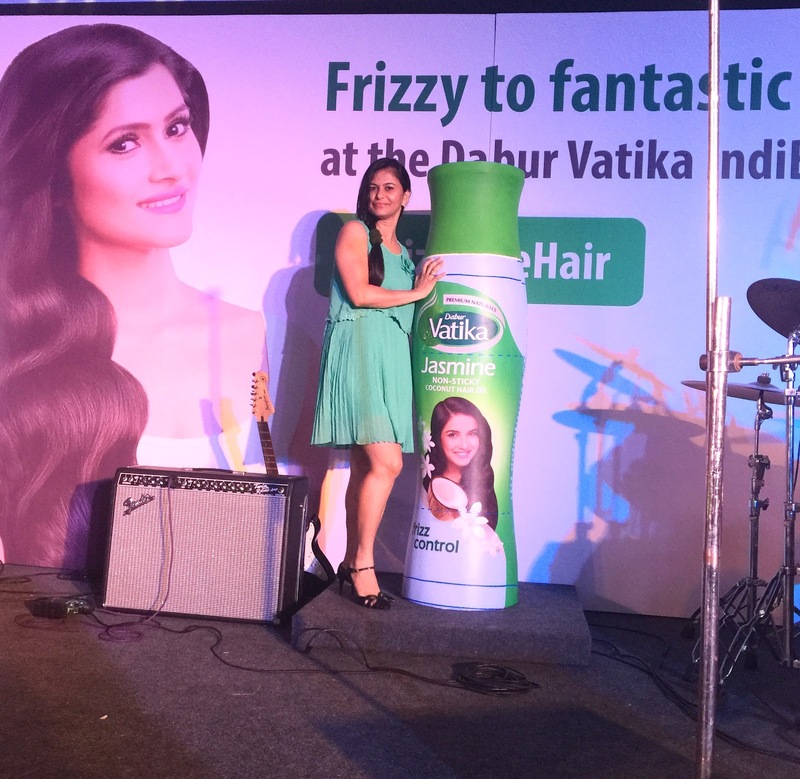 The sweet flowery fragrance not just lifted our spirits but was a quick aromatherapy for our senses too..
Here’s me matching the mood with #Vatika … Go green Go natural ! so much fun .. 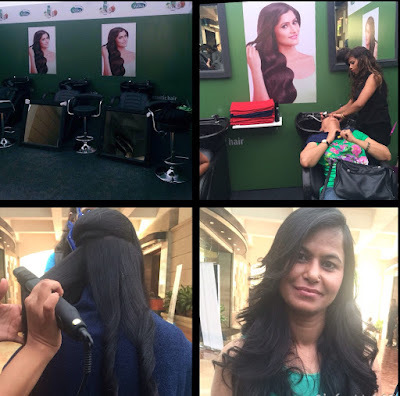 Thanks to my little one that I knew the game and managed to escape from getting my hair messed for quite a few rounds..
hair stylists waited right outside to give our messy hair a new look . 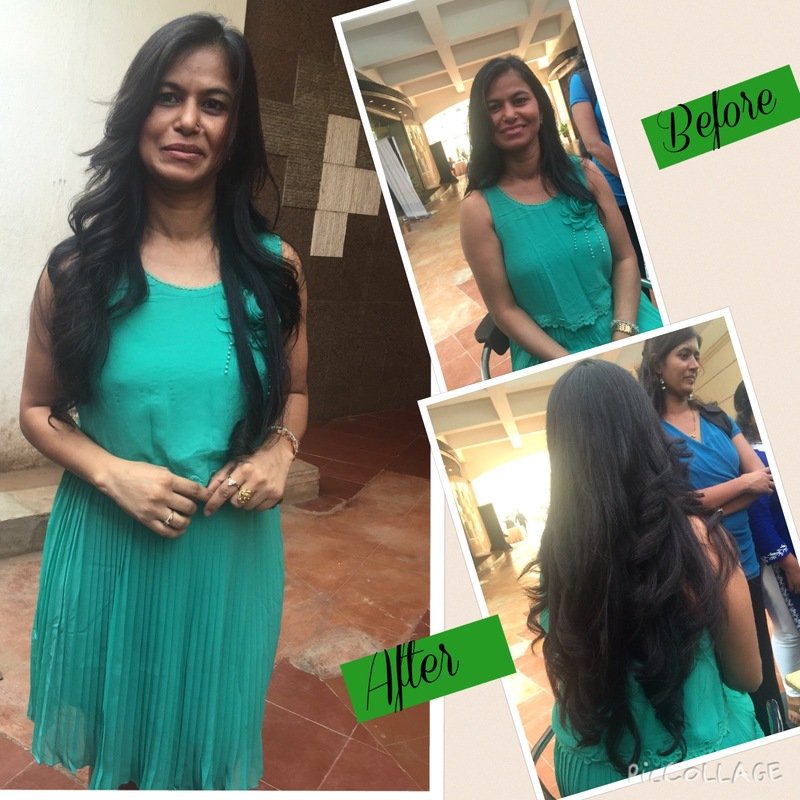 After a soothing oil massage and hair wash .. My hair was ready to be styled in my favourite curls and I just loved the final look with beautifully shiny curled up hair … Cant thank enough to DaburVatika for giving me frizz free hair and a stylish hair do.. 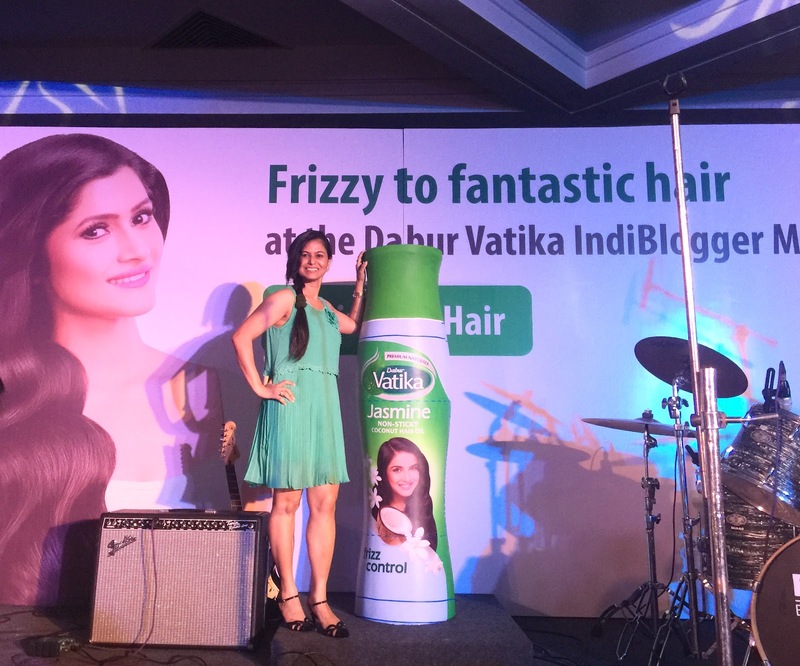 Finally returned with an awesome goodies bag by Dabur Vatika and a wonderful experience at the event. A big Thank-you to the team of Indiblogger for inviting me to have a blast and a rejuvenating experience at the meet. 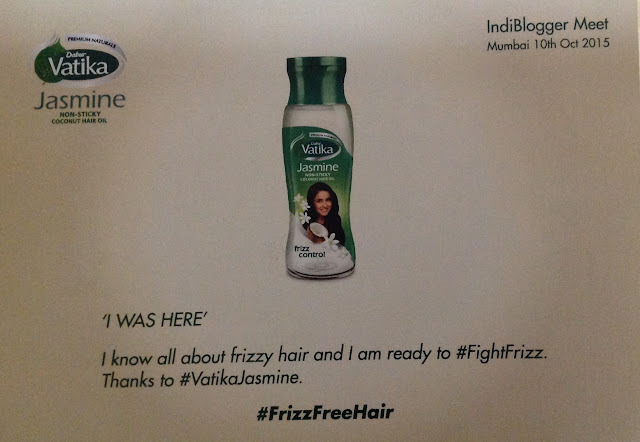 Lastly the final words of wisdom from Dabur #VatikaJasmine who promises to care and ensure Freezy to Fantastic Hair… !! I've heard great things about Vitika. They sell it at my local international store, I'm going to try it! 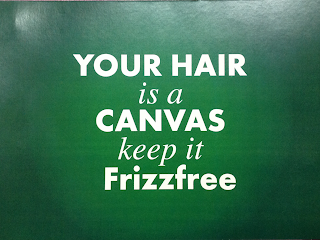 Your hair looked great in the after photos. Thank you Healing Mama! 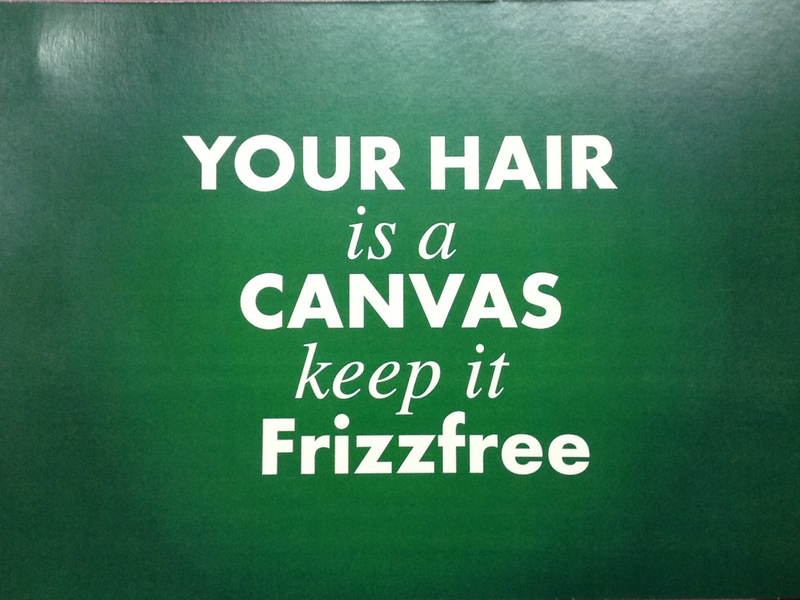 It's great if you could find it at your local store… It's natural ingredients makes it worth trying. You must try and share if you like.